Special Counsel Robert Mueller is expected to release his Russia report immediately after the midterm elections according to a new report by Bloomberg. Mueller is reportedly going to give the “core findings” to Deputy Attorney General Rod Rosenstein immediately after the 2018 midterms as he faces pressure to produce indictments or shut down his farce of an investigation. Special Counsel Robert Mueller is expected to issue findings on core aspects of his Russia probe soon after the November midterm elections as he faces intensifying pressure to produce more indictments or shut down his investigation, according to two U.S. officials. Mueller’s fraud investigation into the Trump-Russia hoax has cost taxpayers millions of dollars. The entire Trump-Russia narrative was cooked up by Hillary Clinton with her DNC-funded Russia dossier. Obama’s crooked FBI then took Hillary’s unverified Russia dossier to the FISC and obtained a FISA warrant and three subsequent renewals on Trump campaign advisor Carter Page so she could spy on her opponent. Mueller has produced nothing except for indictments of Russians which was all for show to justify his multi-million dollar witch hunt–we don’t even know if the Russians he indicted are real people; if they are real people, they will never see the inside of a U.S. court. Both Papadopoulos and Mike Flynn were charged by the Special Counsel for making false statements to the FBI, not for so-called Russian collusion. 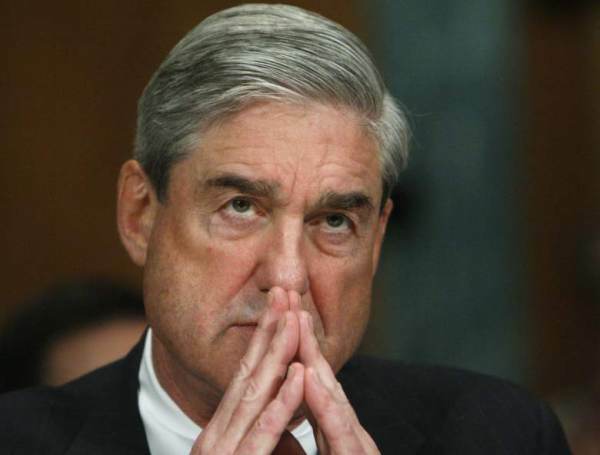 The timing of Mueller’s report is raising eyebrows because President Trump is expected to replace Attorney General Jeff Sessions after the midterm elections which then puts DAG Rosenstein’s job in jeopardy. DAG Rosenstein reportedly planned to wear a wire to oust Trump from office right around the same time he appointed Robert Mueller as Special Counsel to investigate Trump. Mueller, Rosenstein and the rest of the coup plotters should be investigated and prosecuted.